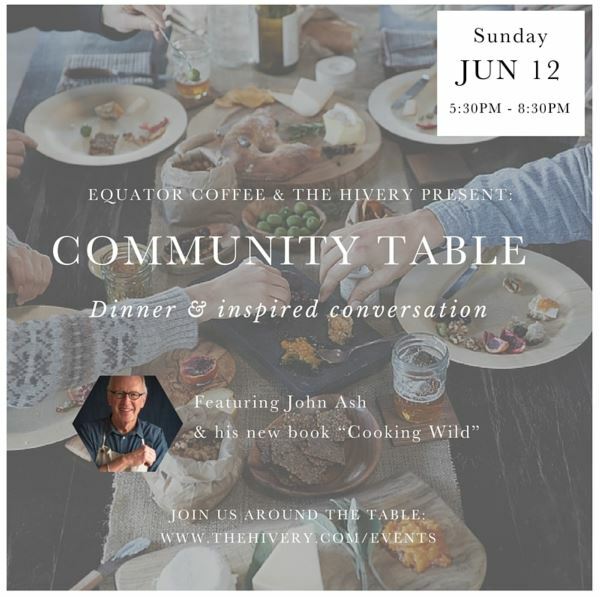 Equator Coffees & Teas, recently named the Small Business Administration’s Small Business of the Year, and The Hivery have joined forces to welcome celebrated Wine Country chef John Ash to The Hivery’s beautiful space in downtown Mill Valley on Sunday evening, June 12. 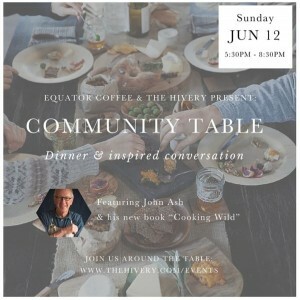 All are invited to join in this unique and intimate gathering featuring a delicious dinner created by Equator’s culinary team from Chef Ash’s new cookbook, Cooking Wild, wine pairings and facilitated conversation with special guests. Space is extremely limited, so reserve your space right away! Ticket price ($90 pp) includes dinner, wine pairings and a signed copy of Cooking Wild.